Style Find! 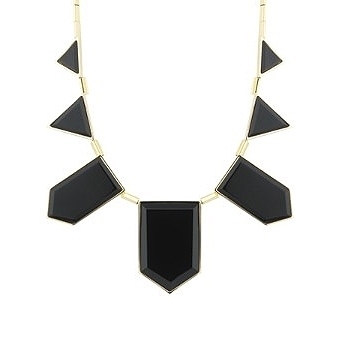 This striking Black-Gold Triangle Necklace is yet another fab piece from Nicole Richie's House of Harlow 1960 jewelry line. I'm in favor of accessories that transition effortlessly from day to evening — and this piece offers that smooth changeover.